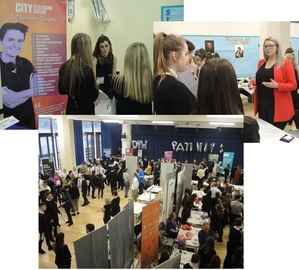 All S3 – S5 pupils participated in our Careers Event on Thursday 28 February. We welcomed over 30 visitors to the school for this event with representatives from colleges, universities and local employers. We also had a number of professionals attending, ranging from Dentists to Lawyers who answered questions from the pupils. This was a fantastic opportunity for our pupils to learn about the different pathways available to them when they leave school and the skills involved in a variety of career paths. The event was also open to parents between 1.30 and 4pm and many parents took the opportunity to visit.